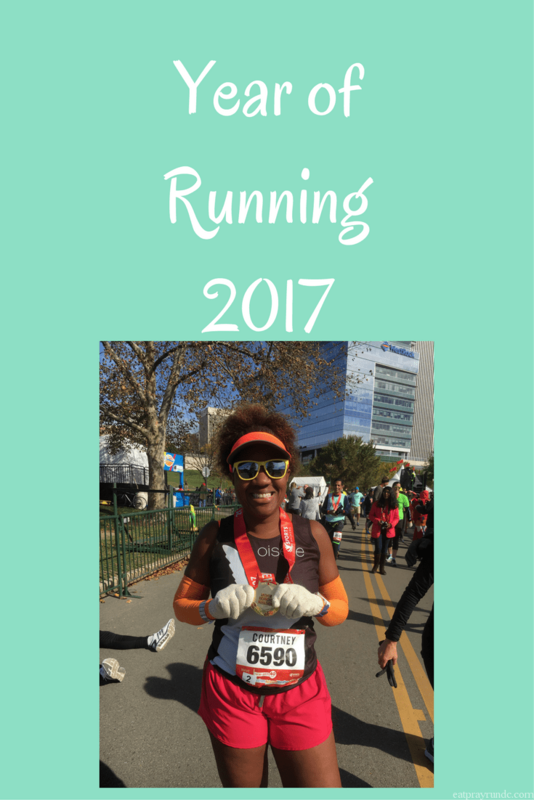 This time last year I linked up with Courtney at Eat Pray Run DC to reflect on my year of running. I really enjoyed writing that post so am joining in again this year. Apparently I’m getting fussy in my old age and hardly raced this year even though I ran loads. It would be tempting to choose Paris here (as I did last year) but I’m going to mix things up and choose the Loch Ness marathon. It was third time lucky for me having previously entered the race and not made the start line and although I didn’t quite reach my goal of a marathon PB, the scenery was stunning and I finished with my second-fastest marathon time ever (and the only sub-4:30 outside of my PB). I have to be pleased with that! My best run came in September, just one week before the Loch Ness marathon, when I wanted to test myself at parkrun. I had no expectation of a PB but felt in shape to run my fastest time of the year. I ran well, felt good all the way round and was stunned to find myself just 5 seconds outside of what had been, until that moment, a “rogue outlier” of a PB. Most unexpected result of my life and I was probably just as pleased as if I had run the PB! Got to be my Aftershokz Trekz Titanium headphones. I love to listen podcasts when I’m running and had begun to move away from wired headphones, but all the wireless ones had fairly bulky earpieces and/or plugged my ears too much. I love my Aftershokz as they’re not only comfortable, but use bone conduction to send the sound to my ears so I am fully aware of noises around me. Out of all the new kit I’ve bought this year, these have been the biggest game changer. Pricey, but worth it. Not strictly advice, but this year I did try out a method of approaching my long runs that my husband has found useful. Combining the idea of running at a slow pace to build endurance with the idea of faster pick-ups during the run, I ran every 3rd mile at a quicker pace. This taught me that I could pick up the pace when I needed to and was a useful strategy heading into my goal race. I’m inspired by many people, but for this one I’m going to pick Laura Muir. Laura has had an amazing year of setting records, challenging records and stepping up to the mark against strong competitors. I have been impressed by her attitude as she never shied away from her goals but was upfront about what she wanted to achieve. Even more impressive is that she has done all of this around her studies to become a vet. Incredible! More of a post-run choice, but I loved the pictures Steve and I took in the Champ de Mars after the Paris Breakfast Run. I think my favourite is this one of me in Warrior Pose! If you don’t race very much but one of your race experiences was in Paris, what else are you going to choose? It may have been a ridiculously hot day, but even though my time wasn’t as I had hoped I was still running through the streets of Paris on a glorious spring day and there’s not much that can top that! If you could sum up your year in a couple of words what would they be? Making progress. I had a very consistent and solid year of running, with a new half marathon PB, improvements in my marathon time and some very pleasing parkrun results. I tried a bit of international parkrun tourism and just this month reached the milestone of my 100th parkrun. All in all it’s been a great year! Despite a pretty light racing schedule, 2017 was an awesome year of running. I kicked it all off with a mega New Year challenge, went to Paris, raced in Florida and racked up my highest yearly mileage yet. Now bring on 2018…! Want to join the linkup? All the instructions are here. This entry was posted in Link Ups, Running and tagged 5K, athletics, inspiration, kilt, Loch Ness, marathon, Paris, parkrun, podcasts, postaweek, running, yoga by The Running Princess. Bookmark the permalink. You’re a running inspiration lady! Love the photo too! Great year Allison! I have truly enjoyed following your journey. Best of luck in 2018! All the best with achieving your goals this year. Those headphones are very cool. Will check into learning more about them. You’ve had such a great year! International parkrun tourism sounds fantastic, but a bit harder to organise than a Saturday morning in this country! Ha! Yes! Fortunately we happened to be in a location close to a parkrun, so that made it a lot easier! Great stuff – we’re parkrun tourists as well? What’s the most interesting parkrun you’ve done? I’ve actually only been to 3 dieting courses – my home parkrun in Perth, our nearest neighbour in Dundee and an international run in Clermont. For me that was probably the most interesting as I was far from home and my dad was with me doing his first ever parkrun. What’s your most interesting one? So far – favorita parkrun in Sicily! Beautiful. We’re off to Washington next week though and that one’s on Roosevelt Island so we’ll see! Such a great hobby! !